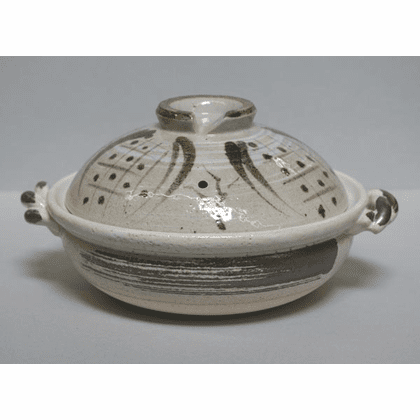 Koushi Check Design Donabe/Japanese Hot Pot, 9-3/4"
Home | Cookware & Kitchen | Donabe & Rice Cooking Pots | Koushi Check Design Donabe/Japanese Hot Pot, 9-3/4"
Ceramic donabe is 9-3/4 inches in diameter and 4 inches deep. Easily serves 3-4 people. Lower pictures show a similar donabe in use.